I visited Kennebunkport for the weekend and on friday it started snowing. It snowed all day until everything was covered with a thick and fuzzy coat of white poweder. I went outside to take some snapshots. 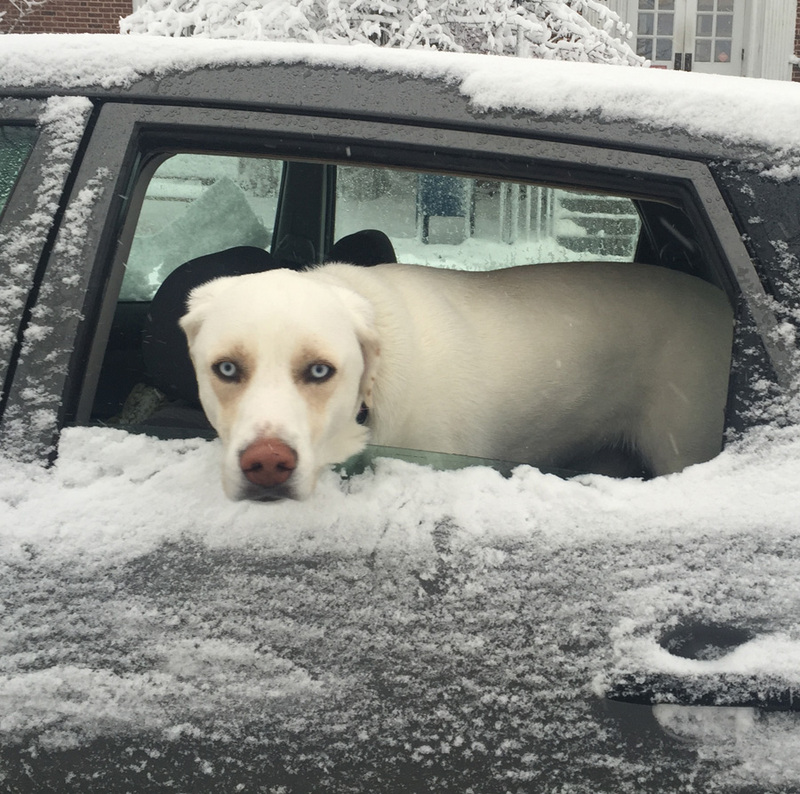 This beautiful dog peeped out a window of a car parked on the side of the road.